Glaucoma is a complex eye pathology caused by excessive intraocular pressure which damages the optic nerve and leads to irreversible loss of vision. A British Journal of Ophthalmology study has revealed that the number of patients affected by glaucoma is expected to reach approximately 80 million by 2020, which is an increase of 20 million from 2010. Since it is an irreversible pathology, it needs to have effective screening and treatment as quickly as possible. 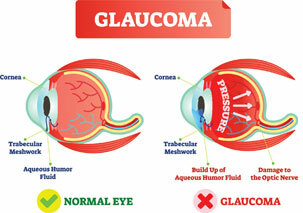 One of the main issues with glaucoma is that intraocular pressure fluctuates over day and night. The pressure peaks are often observed either during the night or early in the day. Therefore, for effective screening, patients need to be monitored for 24 hours. Present-day monitoring devices can measure the intraocular pressure only when the patient visits the doctor. To counter this ever-increasing challenge, Ophtimalia has specialized in the design and development of electronic medical devices for outpatient monitoring, for the prevention and treatment of glaucoma. Their medical device is ambulatory, non-invasive, and measures the ocular dimension variations due to intraocular pressure during 24 hours and assists in improving glaucoma diagnosis and treatment monitoring. “Our challenge was to develop a device for this huge need which had little or no solutions available in the market today,” says Peter Biermans, CEO at Ophtimalia. Ophtimalia’s monitoring device has three components—a disposable contact lens equipped with a passive sensor, a spectacle frame embedding a recorder, and a tablet with a dedicated application. The ophthalmologist equips the patient with the contact lens and the spectacles. The physician then starts the recorder through the tablet. The monitoring is done based on cornea deformation measurements. The contact lens collects the characteristics of this movement and transmits it to the spectacle frame which then records it. Twenty-four hours later, the patient comes back to the physician who downloads the information to the tablet. The physician uses this additional data to adapt or to put in place the treatment which should enable to lower the pressure and thereby reduce or stop the progression of glaucoma. This device can be used for screening at-risk glaucoma patients who have not yet been diagnosed. They can undergo periodic checks every few years to ensure that no major changes occur in their 24-hours profile. However, the primary use resides in the treatment of existing patients who are undergoing treatment but their vision degrades further. “It is an additional equipment to help ophthalmologists to stabilize the vision of patients for which today no real solutions exist,” adds Biermans. Healthcare is going through a phase of transformation, and some of the key trends that drive this transformation include providing cost-effective care and more patient- centric technology. Ophtimalia is driving towards these trends through their medical device. With this device, patients can be monitored remotely, and they need not be hospitalized. Once fitted, the patient just has to come back to the clinic after 24 hours to get the device removed. This means that the patient does not need to be hospitalized which helps reduce the hospitalization costs for the patient while also providing more personalized care. “We are perfectly in line with the general trends in medical care, in reducing cost and being patient-oriented with very innovative technology,” adds Biermans. Ophtimalia is an innovative French SME that creates devices that improve the diagnosis and the treatment of ocular pathologies. The company was founded in September 2009 as a spin-off from NXP, a world leader in secure connectivity solutions for embedded applications. It is supported by the Vision Institute (Institut de la Vision) in Paris and by the French Ministry of Research, and benefits from the tax refund approval for investment in R&D. This grant has also helped the company to be referenced as an R&D company. The company has employees with strong competencies in the development and industrialization of sensors, electronic systems, embedded and application software. They have also gained the know-how in in-vivo experimentation through a variety of projects. “Teamwork, mutual respect, and perseverance are important values that form the DNA of the company,” says Biermans. Peter Biermans has a Masters’ degree in microelectronics and Business Marketing from the Technical University of Eindhoven (The Netherlands). 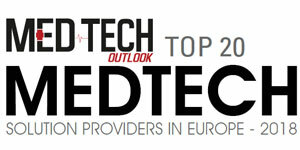 He has also held various management positions at Philips in Eindhoven and Philips/ NXP in Caen (France). Ophtimalia team members deliver lectures in engineering schools and universities and share their experience while also providing advice to the students. The team also conducts Traineeships, covering various topics, from market research up to a technical realization within the company. Ophtimalia has established partnerships with key opinion leaders in the field of glaucoma in several countries in Europe such as Netherlands, Switzerland, and France, with the aim to obtain CE mark approval of their device by early 2019 and start the commercialization. They look to obtain FDA approval over the next 12 months and make their products available in the North American market. “We are also looking for feedback from patients and users regarding improvements on the existing product before we launch the second generation product,” concludes Biermans.